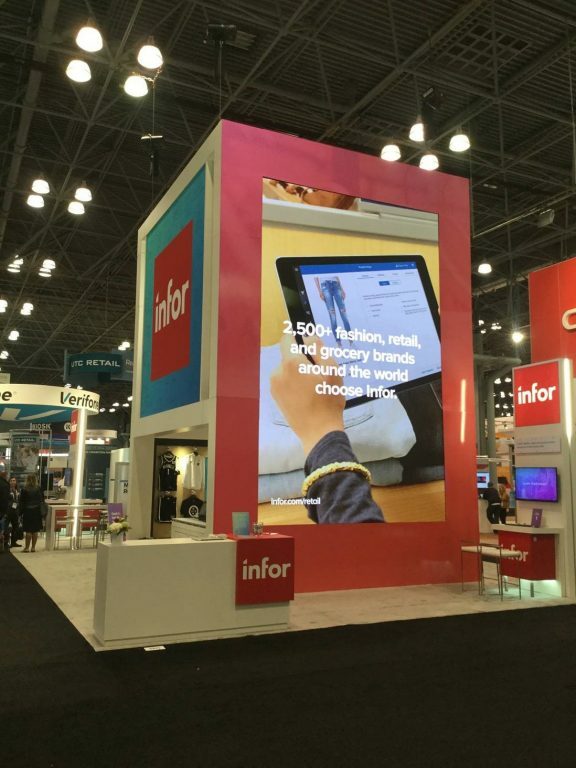 Video elements are being integrated into trade show booths to attract more people, but in what ways can they be implemented to be most effective to draw people into booths. Brian Barry, LED3’s lead technician was asked for his insight on how video has been used in the trade show booths with LED displays and the value that it has created for companies. “LED added to a booth engages a wow factor with your targeted audience. Trade show floor space is a premium so the ability to show multiple marketing components in the same digital footprint is key. The ability to show PowerPoint presentations, slideshows, videos, all within the same space sets it apart from delivering a single message on a static graphic.” Companies have been looking to LED displays for their seamless looks and quality to show off interviews and YouTube videos of their products in real time. Many companies are already incorporating LED technology and think that it is a great resource and seek out LED providers that are known for their work and quality products. “Most clients that attend tradeshows already know what LED can bring to their booth,” says Brian, “They already know what they want to display on the wall, the questions they reach out to us are about native resolution, what size to build their tiles so that it can properly displayed without being stretched or contorted.” Like a lot of creations, people have an idea of exactly what they want, but physically executing it is the tricky part.